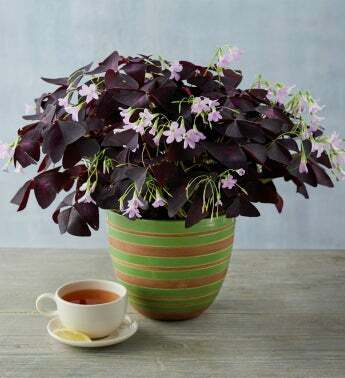 Lucky plants bear distinctive triangle-shaped leaves in shades of rich purple with delicate white blossoms, providing a striking and beautiful contrast. 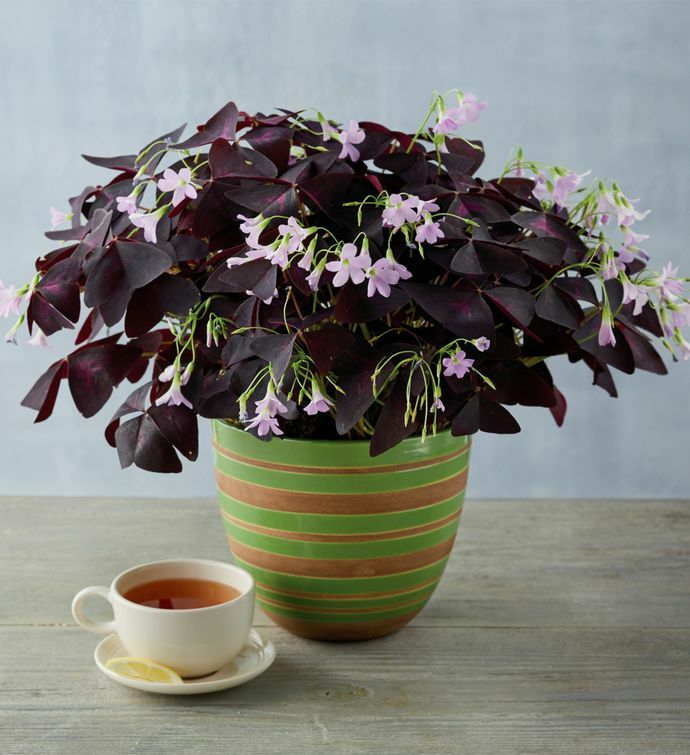 Complemented beautifully by the accompanying 6" green and brown stoneware pot, this unique plant is easy to care for and will make a wonderful addition to your indoor décor. The bulbs are pre-planted and will begin growing foliage and flowers within 6-8 weeks.